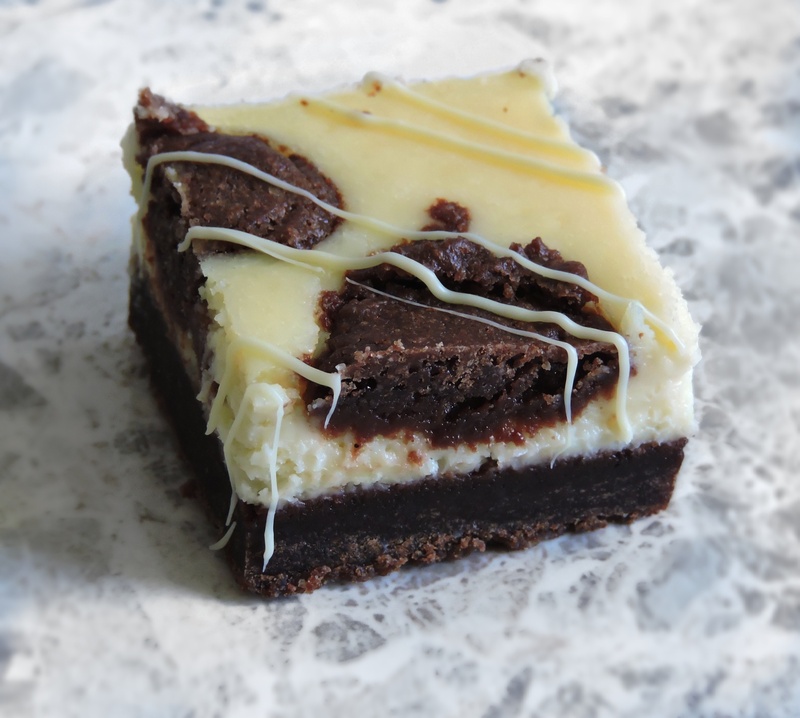 I made these in an 8×8 inch square tin, but if you have a slightly larger one then use that as you get more cheesecake brownies out of the recipe without compromising too much on layers of cheesecake and brownie. First you need to line your tin, whichever size you end up using make sure you line the bottom and leave overhang for the sides. Then you need to make the brownie dough, to do this you’ll need to cream the butter and sugar for about five minutes until lighter in colour and fluffy. Add the eggs, one at a time and beat well using a handheld mixer or a stand mixer. Sift the dry ingredients together and add the creamy mixture in two batches to the dry ingredients and ensure everything is incorporated. You may need to get in there with your hands for the last stage but it’s pretty therapeutic so it’s not that much of a struggle. Reserve about 1/5 of the dough for the top of the cheesecake brownies and place it in cling film in the fridge. Press the rest of the dough in to the tin, building it up around the sides so the cheesecake has something to sit in. Let the brownie chill in the fridge for about half an hour, or the freezer for 15 minutes. While your brownie is chilling, make the cheesecake. Pre-heat the oven to 160°FAN. Melt the white chocolate in the microwave in 30 second intervals until it’s all melted and set it aside to cool slightly. Using a mixer, beat the cream cheese and icing sugar until smooth and add the egg. Mix until incorporated. Stir through the chocolate. Don’t worry if the chocolate doesn’t stir through smoothly – the temperature of the cream cheese is to blame here. It makes no difference though, any white chocolate bits melt and dissolve in to the cheesecake while it’s in the oven. Place the brownie in the oven and bake for about 20 minutes. 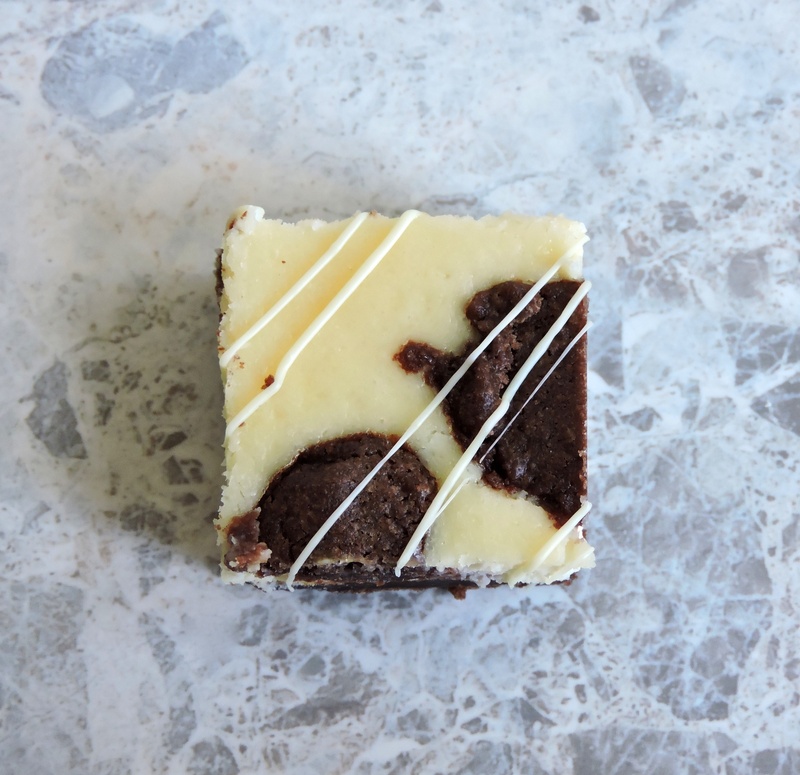 You’ll need to wait for this to cool completely before adding the cheesecake topping so do the washing up (or watch The Good Wife) while you wait for the brownie to cool! 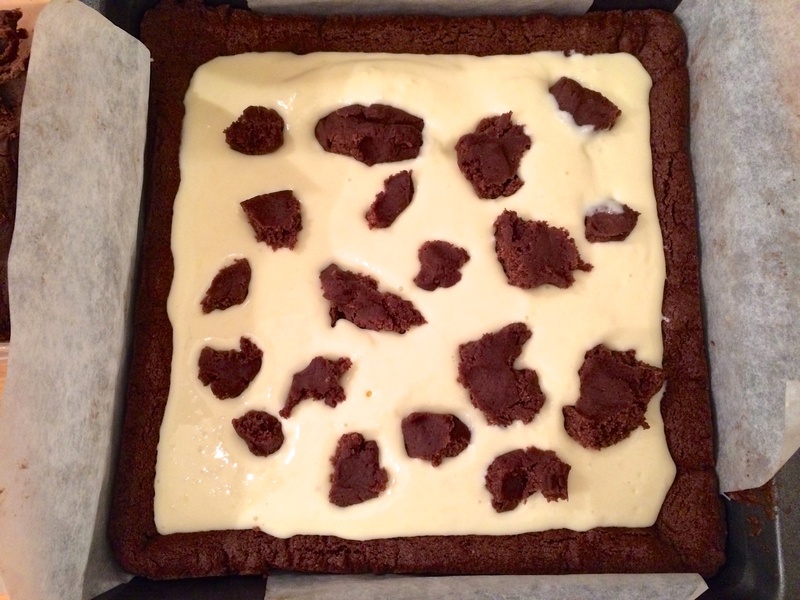 Once cooled, pour the cheesecake topping on top and crumble over the reserved brownie dough. Bake at the same temperature for 22-25 minutes or until the cheesecake has set but there is the tiniest wobble when you shake the pan. Let the whole thing cool. No seriously. Don’t touch it. Don’t even poke it. Just let it cool overnight in the fridge and when you wake up, the new decadent love of your life will be waiting for you. It sounds lame. It is lame. But… trust me. 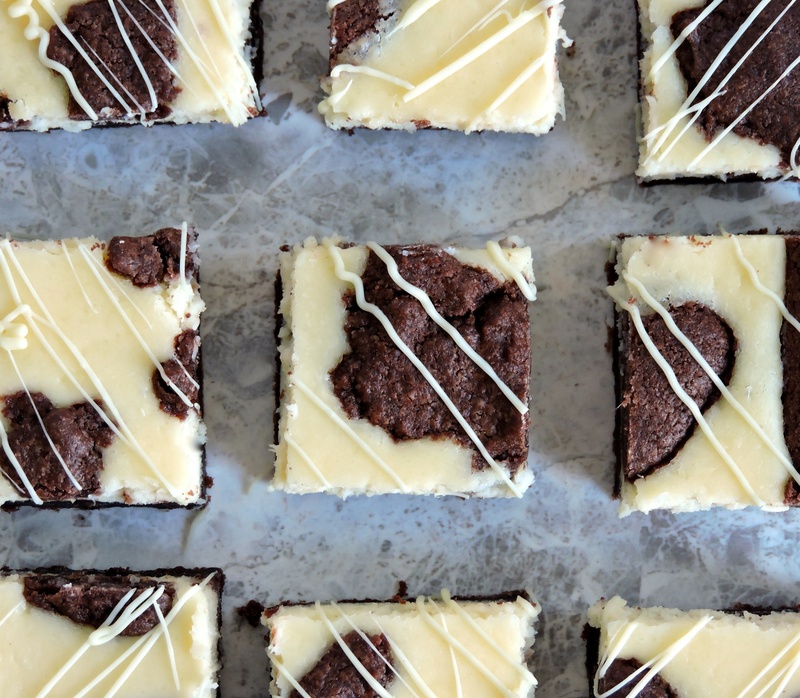 Melt a couple of squares of white chocolate and drizzle it over the top, if you like. Or don’t. It’s up to you. (You know you want to). Cut in to squares and share with strangers who will become your friends rather quickly. Looks amazing! Is there an alternative to philadephia for the cheese cake?